I planned to tell her that I had been having a challenge with punctuality and was working on it. I would pledge respect for her time in future, to the very last second. Seated in dead traffic, I thought about her. The lady whom I had heard of and read about. She was a mover, she had a wealth of experience across different industries. Pat had told me that she had struck a fair balance between family and career too. I wanted her, to be like her. And so I had chosen her to be my mentor. We had scheduled this first meeting over a short soft conversation. She was soft, eloquent and pleasant on phone. Wednesday 2.00pm, at the PDR room in Nairobi club… See you then. I glanced at my watch, 1.56pm and still in traffic. Clearly I would not make it in time. I wouldn’t text her either, kept telling myself that I would make it before she noticed I was late. And twelve minutes past two, I was at the PDR room. Nervous much, but locking it in with a quiet mask. LinkedIn had given me a rough idea of how she looked and what she was all about. Not finding her in the room was a relief; I would not have to talk about my punctuality struggles. Cut long story short, I never got to meet her on this day. She had fallen sick shortly before our meeting, and was admitted. I went to see her the next day, we went to see her. We had our first meeting in hospital. It made it much easier for me; you don’t have to do a lot of talking to a patient. Subsequently, we had weekly meeting. Sometimes more, sometimes less , depending on her travel schedule. It was at a time when my life needed fixing in all dimensions. And she did fix it. I had had a series of outcomes against odds: against what I wanted. I was two months fresh in a docket I had zero interest in. No, I had negative interest actually! My social life was shaky and I had taken a back step spiritually. Her support came in ways I had never imagined. When she joined us for a CSR activity that we had organized in a children’s home, we had a long chat on how I was coping with my role. When I dropped the challenges I was facing trying to build a working relationship and create value to them, the program’s alumni, she offered to host the current leadership team and all previous executive team members in her home over a buffet. This way, those who had been there before us would share with us what had worked for them,their changing needs over time, what they wanted now and how best we would engage them during our term. Turnout was impressive, and it made a whole lot of a difference for the year to come. Unlike the first meeting where I was at my best behavior, I no longer feel the need to filter what I say or do. She has made me be comfortable in my own skin at all times without feeling the need to be accepted or worried that I might not impress. She has been that woman with whom I can genuinely share my fears, failures and disappointments.Without feeling judged: and without even feeling inadequate or incompetent. Conversations like those gave me validation, some virtual stamp of approval that made me feel that I was on the right track. They gave me the morale to focus my energy on the task at hand. And other meetings have been designated to chatting, just catching up on the week culminated. It is on a day like that, when I ask her to take a look at my face and tell me what she has noticed. You are glowing, it’s HIM again.. huh? Sigh, my chubby is back Gilda…look at my chubby cheeks. And there we have the conversation on my struggles with weight and how it makes me feel to gain a kilo. About how ephemeral bad situations are and about my progress in gaining self awareness. Sometimes about the average zone and the dangers therein. About my career, and him too.. practically all dimensions of life. She has been a brilliant brain to pick from, a keen listener and a push in the right direction. Not that we agreed on virtually everything, we sure had a thing or two we had different views to. Over the mentorship year, she did not do the thinking for me. She let me do it under her umbrella…and no matter how absurd some ideas and goals felt, she listened. Some goals we set together and had her as my accountability partner. Others remained in the comfort of my diary, but she taught me the discipline of holding myself accountable. That no one else would do the hard work for me, and that things just do not happen unless we MAKE them happen. Look who just made her first post! Congratulations, it’s a brilliant piece!!! I was happier than words could ever possibly express. Not because she had read, or because of the fact that I looked up to her in a million ways. It was because she was interested in what I was doing, even though it was not necessarily an area she had keen interest in. And that she was taking time to appreciate my progress as a mentee. We had previously had a session on latent talent, discussed why I was jittery about having my blog…and now, there she was, proud that I had finally beaten my uncertainties. One year later, I feel fixed, molded and mentored! That’s my definition of a mentor who made an impact. Someone who saw more talent and ability within me even when I couldn’t see it, and helped me bring it out at its best. 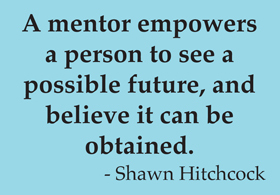 If you ask me, a good mentor is someone who shows just as much interest in you as you show in them. Someone who comes down to your level despite being at a different phase in life, values your ideas, provides candid feedback and holds your hand. Someone who does not shy away from correcting you when you are straying, and someone who will remember to come and back you up when you when you are losing focus off the target, who beyond being a mentor, is a life coach, friend and a confidant. So beautiful. This needs to go up in a newsletter or something! Love it. I can relate a lot to what you wrote. Long live Gilda and long live GMP! This is a wonderfully written piece. 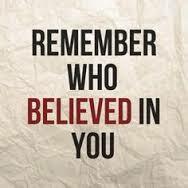 I hope you share it broadly, it is a great source of inspiration …..making a difference is what mentors live for. What a masterpiece Lil’kiM! Bravo!! I am touched beyond words. I just wish I was there much more for you. I am so glad to see a beat if u butterfly emerge from that cocoon. I know you will soon be someone great. You have so much in there…you have only scratched the surface!